Medium size with exceptionally hard wearing clear epoxy coating to protect the glitter face. If you go over the recommended count then the text becomes smaller, and more difficult to read. Single purchased ID tags, ordered without any other items shipping cost to UK £1.99 / Europe £3.20 / Worldwide £5.50. 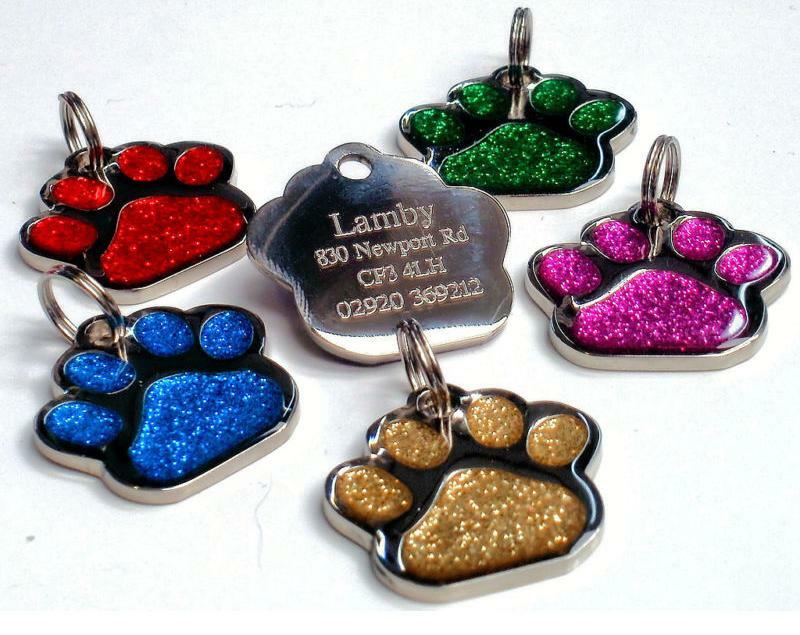 If 3 or more ID Tags are ordered, shipping rate cost of UK £4.99 or free shipping if total amount is over £49. Shipping cost for 3 or more ID tags to Europe is £7.99 / 3 or more tags to USA £12.50. If ID tags are purchased with other items, standard shipping costs apply with no extra charge for tags.